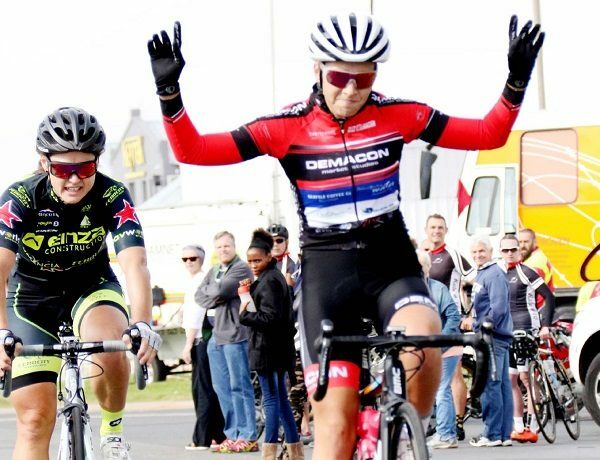 Young Stellenbosch rider Hennie Roux gave himself the perfect birthday present when he partnered Waylon Woolcock to victory in the Liberty Winelands Encounter in the Western Cape today. 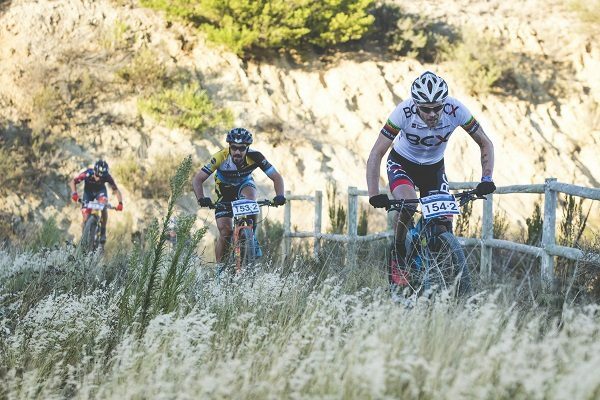 Roux turned 20 yesterday and celebrated in style with his first major stage race success when the three-day mountain-bike event ended at the Nederburg Wine Estate in Paarl. The pair won their third straight stage when they finished today's 50km route, which started at Le Franschhoek Hotel, in 1:52:49 for an overall time of 5:52:44. The final-stage runners-up were Renz Rezelman and Thor Hansen, followed by Cobus Swanepoel and Neville Cragg. The latter team were second in the general classification, with Dawid du Bruin and Michael Dundulakis filling third spot overall. For Woolcock, it was a return to familiar territory as he regained the title he won with HB Kruger in 2017 when he was still competing as a professional rider. He has since retired from pro cycling, but has taken Roux under his wing and was able to guide his young protégé through the demands of stage racing. Roux said it had been a memorable experience in his fledgling mountain-bike career, which only started in earnest in November. "It was truly an amazing weekend in my first real stage race ever," he said. "I was able to learn so much from Waylon, especially how to race smart - when to go harder and when to conserve energy. It was a really good lesson for me." Having started cycling only four years ago, Roux switched to road racing in 2017. "But last year I went riding in Europe for a bit and that's when I realised that I was more suited to mountain-biking. "My strength is that I can ride at my own effort for a long time and since I started concentrating on this discipline I have fallen in love with it. "So this weekend was very important for my development." In today's stage, which took place in wet conditions, Roux said it was fairly flat in the first part and the group . . .
Waylon Woolcock used his considerable experience to join Hennie Roux as first-stage winners when the Liberty Winelands Encounter got under way in the Western Cape today. 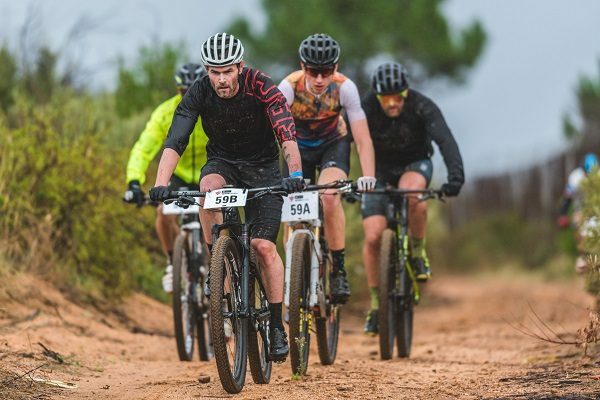 The opening day of the three-stage mountain-bike race saw competitors cover 48km from the Boschendal Wine Estate to Le Franschhoek Hotel, which included 1 060 metres of ascent. Woolcock and Roux crossed the line in 1:54:22, just less than three minutes ahead of Cobus Swanepoel and Neville Cragg (1:57:19). Dawid de Bruin and Michael Dundulakis filled the third podium spot. A former professional cyclist, Woolcock won the race in tandem with HB Kruger in 2017 and today's efforts put him in line for a repeat performance. 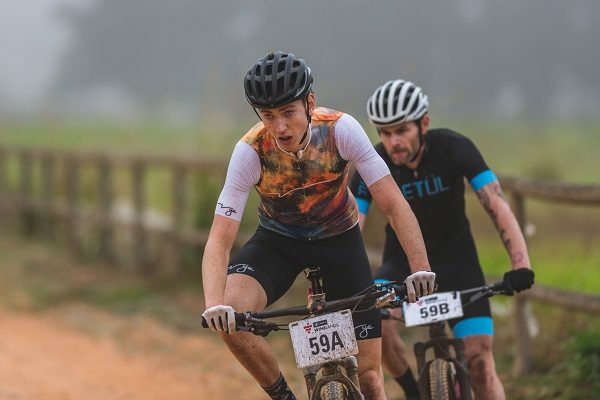 Only this time he will be guiding his 19-year-old partner through the intricacies of stage racing as Roux, who is also from Stellenbosch, experiences his first Winelands Encounter. Woolcock has been mentoring his colleague for the past two years and said they felt good going into the race. "We managed to ride away on the first climb and from there it was just a matter of controlling things and making sure we enjoyed the experience," he said. "Hennie was pretty strong throughout the stage, so that is a sign that the work we have been doing is paying off. "I was able to use my experience to pass on some advice to him about where to ride hard and where to be a little bit more cautious, so it was a good day for both of us." Woolcock added that, as usual, the trails set up for the race had provided a clear indication of what the Cape Winelands had to offer avid mountain-bikers. "Starting from Boschendal there were some pretty decent, steep climbs and nice single-track. "From there we headed over to Franschhoek, which is a bit more open with gravel roads and jeep tracks. "But it is still fairly rough and offers typical mountain-bike terrain, so that was really cool." Woolcock said he was looking forward to the weekend to experience more of the ambience . . .
Johannesburg, April 2019: A number of august personalities have hit the greens on Steyn City’s Nicklaus-design golf course since its launch over four years ago, including the likes of players from Bafana Bafana and the Springboks. But few are quite as noteworthy as Simthandile Tshabalala. 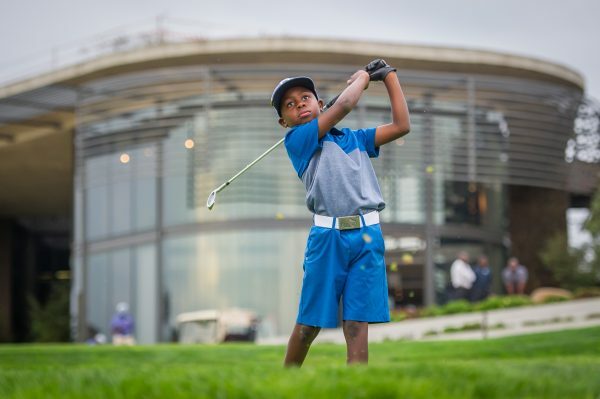 That’s because, at seven years old, Simthandile is not only the youngest member of Steyn City’s golf club. He’s also one of the most talented, as affirmed by the significant number of trophies from both local and international tournaments he has amassed in the nine months since he started playing professionally. In fact, Simthandile recently left South Africa to take part in the Australian Open Golf Championships in which he came fourth – and, with a global ranking of number 14 in his age category, he’s sure to keep South Africa’s flag flying high. Small wonder, then, that the international press has been quick to draw parallels between Simthandile and that other golf prodigy, Tiger Woods, especially since US golf officials have nicknamed the young star SimTiger. But, according to Tumo Motaung, Simthandile’s coach at Steyn City Club, the boy has remained calm and focused throughout the media storm that follows in his wake, describing him as hard working, dedicated and focused. Motaung is convinced that Simthandile already possesses an astonishing natural talent; if he is able to hone his mental strength, he will become virtually unstoppable. Simthandile himself appears unimpressed with his sudden fame. Instead, he remains caught up in the sheer love of the game, refusing to give up his time on the greens even when it’s dark or he has other commitments. The Steyn City School learner heads straight to the golf course after lessons, making full use of the excellent facilities that pupils at this new facility enjoy. This dedication bodes well for his future career, when he hopes to emulate the golf greats of today, including Rory McIlroy, Louis Oosthuizen, Sergio Garcia, . . . 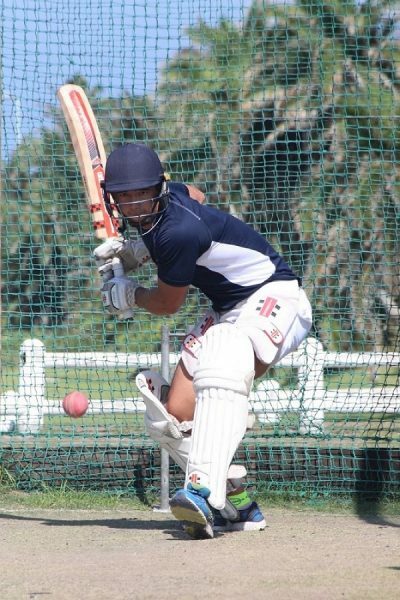 The Madibaz cricket team will get a chance to test themselves at the highest level in South African club cricket when they compete in the CSA Momentum National Club Championship in Pretoria, starting on Saturday. David Masterson's side secured their spot in the national event by defeating Fort Hare University in the Eastern Cape play-off in Port Elizabeth on Saturday. After totalling 237 in their innings, Madibaz dismissed Fort Hare for 138, making amends for the defeat they suffered against the same opponents in the corresponding match last year. Now the skipper wants them to carry over the determination they showed in the play-off to the week in Pretoria. "We were very determined to win the game and to get to the club champs," said Masterson. "It was a must for our club and it was very good to see the right approach from all the players. 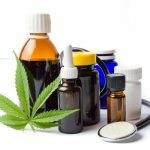 "We feel that we have done one part of our job. Playing at the highest level of club cricket is what we need to do and we will experience that in Pretoria from this weekend." He acknowledged that the team would need to show self-belief against their national peers. "We are relatively inexperienced and that is a major thing at big weeks like this," said Masterson. "So to get the youngsters to believe in themselves and to take as much pressure off them as possible is what I will try to do." While they will face different conditions in the Highveld atmosphere, the Madibaz skipper said they were ready for the challenge. "I still believe that no matter where you play the team who plays better cricket on the day will win. So that is all we'll have to do. "Our team culture is a massive strength and the guys are willing to play for the team and each other. The balance in our playing 11 is also usually good, which comes from having a strong squad. "Even though we may be missing a few key players to the CSA Three-Day Provincial Cup final and the Warriors, I definitely feel we can be competitive in the . . . 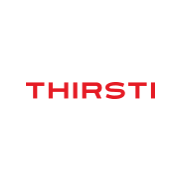 THE SHARKS ARE VERY THIRSTI FANS SOUTH AFRICA, KWAZULU-NATAL, DURBAN, 02 APRIL 2019 – The Sharks have announced that they are true THIRSTI fans as they ratified THIRSTI Water as their official 2019 Hydration Partner. Sharks COO, Eduard Coetzee, said of their new partner, “We really like this young, disruptive KZN brand who, against all odds, entered an already saturated hydration market in 2016, or so we thought, and immediately took market share from global market leaders. This was a ‘listen to your gut risk, believe in yourself, and never say die attitude. 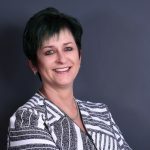 These are core strengths that embody both brands.” Rob Hoatson, Founder and Director of KwaZulu-Natal based, THIRSTI Water, has made staggering inroads across South Africa in three short years. His brand has attracted a young, vibrant market who intrinsically bond with authentic brands as both naturally celebrate and partake with those who fearlessly pursue their passions and dreams. Says Hoatson, “The Sharks pursue excellence in all that they do. We could not have chosen a more authentic brand for THIRSTI, and a more valuable partner for the release of our Isotonic range.” #SharksHydrationPartner The Sharks are an embodiment of these values; their globally-recognised brand extends beyond the world of rugby, promoting this intrinsic lifestyle value as well as fashion, entertainment and sporting aspiration. With two dynamic brands committed to empowering people to be the best version of themselves, and embodying the values of community, hard work, pride and peak performance, this will undoubtedly be a powerful partnership. “Both brands share core values and a pioneering spirit with community being at the forefront of our endeavours. Partnering with like-minded brands, such as THIRSTI, allow us to push the boundaries even further, and we are confident that this partnership, based on excellence, innovation and common core values, will grow and deliver rewards for both parties,” says . 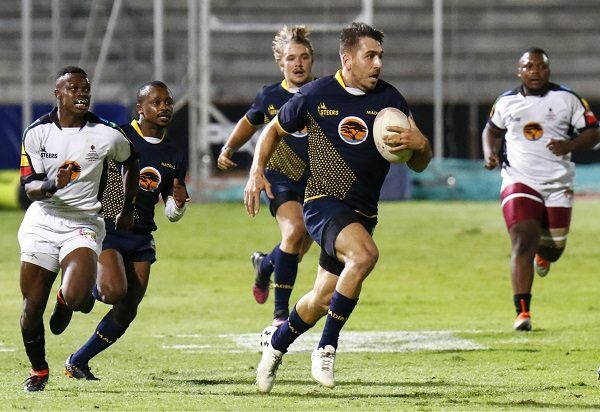 . .
FNB Madibaz rugby captain Riaan Esterhuizen wants his team to emulate their defensive display in the semifinals when they face Cape Peninsula University of Technology in the FNB Varsity Shield final on Thursday. The match will take place at the Madibaz Stadium in Port Elizabeth, kicking off at 6.15pm. It will feature the top two Shield teams this season after the Nelson Mandela University outfit went through the round-robin phase unbeaten and CPUT lost just once - to their PE rivals. The Madibaz won their head-to-head encounter 38-21, but Esterhuizen said they were well aware of the attacking abilities of their opponents, which would test their defensive systems. "I think we did really well on defence in the semifinal against University of KwaZulu Natal, not conceding a point," he said, referring to last Thursday's 46-0 win. "But we know that CPUT are a quality side and have registered a number of high scores against other teams. That shows they have a good attack and our defence will need to be on point again." He added that the Cape team liked to play at a fast tempo, but backed his team's structures to cope with what lay ahead. "The guys' hearts and attitude are in the right place for defence, as we showed against UKZN, and we will be ready for their tactics. "In the first game of the season they showed their intentions with their fast play and quick taps. It is similar to how UKZN play, so we know we need to be prepared for that." Although many of the players in a relatively young team have not appeared in a play-off before, Esterhuizen said they were excited about the opportunity. "It's true that we don't have a lot of experience in these sorts of matches so we don't quite know what to expect. "But the guys are confident enough to put up a good performance and not let anything distract them. "The fact that it is a final doesn't mean we need to change anything. The stage is a bit bigger, but the strategy we have followed in . . . 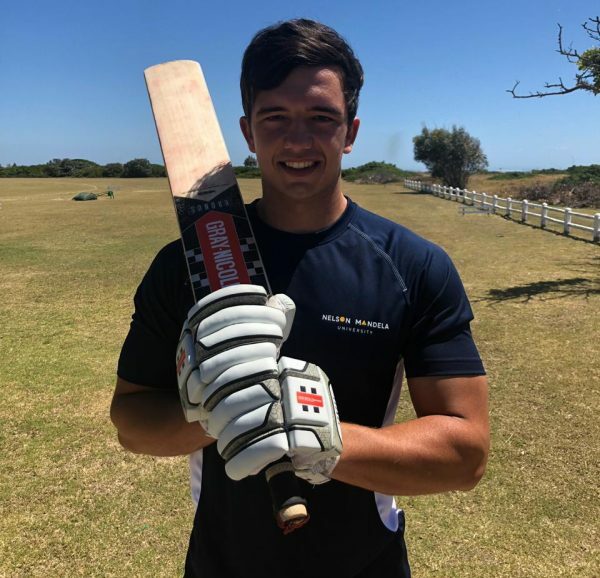 The Madibaz cricket team will be aiming to capitalise on their thrilling league victory by qualifying for the national club championship in the Eastern Cape play-off in Port Elizabeth on Saturday. The Nelson Mandela University outfit will meet Fort Hare University at the Madibaz Oval to decide who will represent the region at the CSA Momentum National Club Cricket Championship in Pretoria from April 13 to 17. Skipper David Masterson's side were crowned Nelson Mandela Bay premier league champions in the tightest of finishes to the season when they defeated Madibaz 2 on Monday to edge Gelvandale for the title. Masterson said they were relieved at the final outcome. "We are extremely hard on ourselves when it comes to the league because we set ourselves the goal of winning it each year," he said. "When we don't it's very disappointing. So obviously we were a happy camp, but relief was probably the main feeling. "However, credit must go to the other clubs for their efforts this season because it was a real challenge right until the end of the programme." Looking ahead, Masterson said they had their full attention on the play-off with Fort Hare. "Last year we went down narrowly to them in the decider, so this time we are determined to make up for that. "There is still plenty of motivation in the squad, even though we will be missing some key players, who will be at the CSA Future Cup this weekend. "But we need to back our squad. We haven't been to club champs for a couple of years so the desire is there to make it this year." The skipper added that winning the league was an important achievement for the Madibaz club. "It's a big thing for us because it means we have completed the goal we set ourselves at the start of the season. "In addition, it shows that Madibaz is a strong breeding ground for future stars, as demonstrated by the number of players from the varsity who have ended up playing for the EP team. "We have a very young . . .